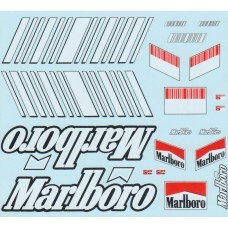 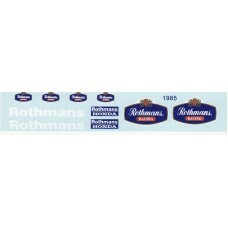 MSM Creation 1:12th full conversion decal set for the Ducati GP8 Motogp bike. 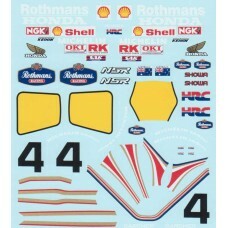 The decal set wi..
MSM Creation 1:12th scale conversion decal sheet for the Honda NSR500 (1985) bike as riden by Freddi..
MSM Creation 1:12th scale decal conversion sheet for the Honda NSR500 from 1986 as riden by Wyn..
1:12th scale conversion waterslide decal sheet for the Yamaha OW98 and OWA8 from 1988/89. 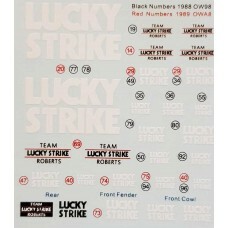 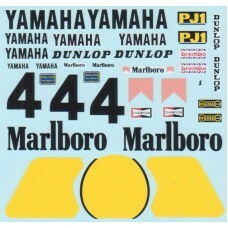 Luck..
1:12th 'Marlboro' waterslide decal sheet for the 1:12th Tamiya model of the 1989 Yamaha YZR500 to co..
MSM Creation 1:12th decal conversion sheet for the Yamaha YZR500 Kenny Roberts bike. 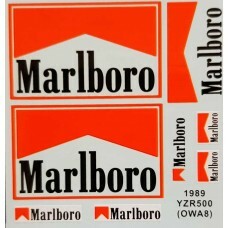 The set c..